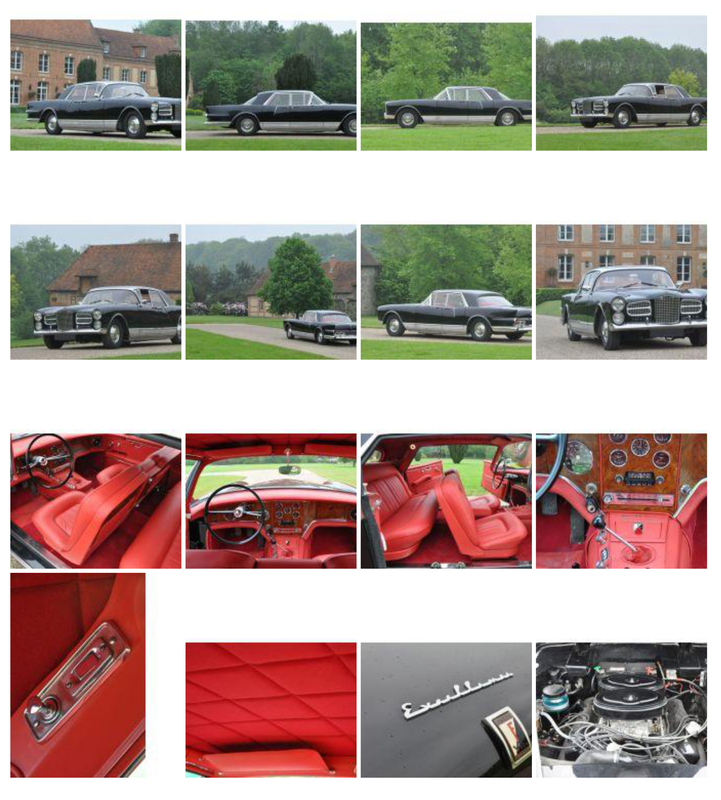 The Facel Véga Excellence occupies a special place in the history of the automobile, for at least three reasons. Firstly, the marque itself is a shining star in the firmament of French cars. Its creator, Jean Daninos, launched the luxury French automobile marque in 1954, at a time when the country had lost some of its great names. The second reason is its body: a low, elegantly styled saloon that was as luxurious as a Bentley and as fast as a Jaguar, thanks to its powerful and reliable American engine. The third reason is its rarity: between 1958 and 1964, just 145 examples of the Excellence series 1 and eight series 2 were produced. Presented in 1956 and available from 1958, the Excellence was distinguished by its subtle blend of luxury and exclusivity: the painted dashboard packed with dials had a sporty feel in keeping with the 6.4-litre Chrysler engine. Nudging 400 bhp, the car was capable of nearly 230 km/h, with an acceleration that put other reputable sportscars in the shade. At the time, it offered a French alternative that was discerning and elegant, to clients of Bentley, Cadillac, Mercedes and Maserati. 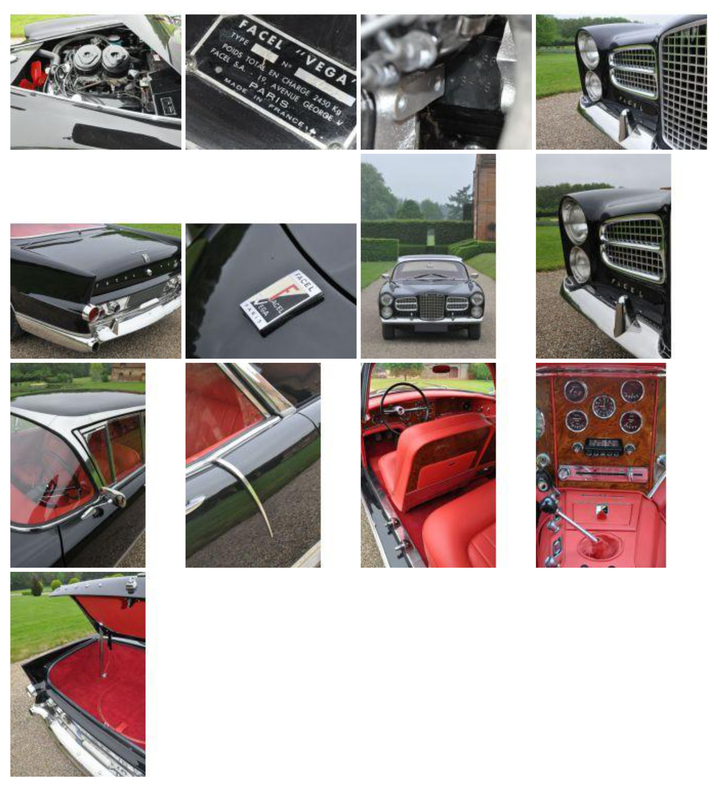 According to information provided by the valuable and active Amicale Facel club, the car on offer was sold new in 1959 to Mrs Godfrey Fowler in Monte Carlo. Delivered directly by Facel to the Principality, the car was black with red leather interior, with power-assisted steering and manual gearbox, and registered MC 1833. In 1963, the Monegasque owner sold the car to M.G. Heuze, from Paris, and the car was re-registered as 2604 PG 75. 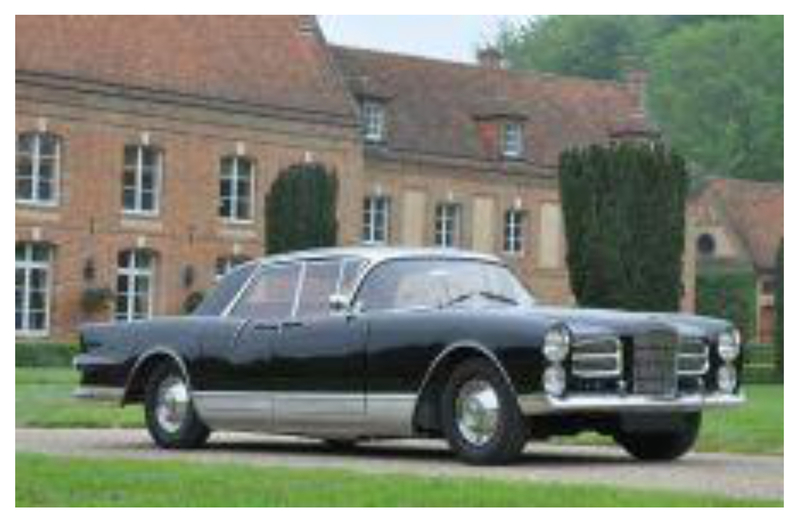 As can be seen on the current carte grise, the car was then registered 4534 UC 75 in 1967, probably when owned by M. J Fay, from Vouziers in the Ardennes, a member of the Amicale Facel club. He kept the car until 1990, when he sold it to the current owner, who, having taken part in various outings, decided to completely restore it, at the start of the 2000s. The Excellence was completely stripped down, with the body removed from the chassis, as can be seen in photos in the restoration file. It was re-upholstered by Caribex, in red leather to match the original, at a cost of €15,000. The dashboard, in good condition, was re-varnished. Mechanically, the gearbox was checked over, the engine was rebuilt, with new bearings, pistons, valves, timing chain, oil and water pumps. The two carburettors were also overhauled, at a cost of €2,800. The brakes were serviced and the car has a stainless steel exhaust. The file with the car includes invoices and photos detailing the major work that was carried out. This is undoubtedly one of the finest Excellences in circulation, having enjoyed a complete restoration at the highest level. It is a series 1, with pointed rear wings and panoramic windscreen, typical of the 1960s, and still in original colours. In addition, the car has the desirable features of a manual gearbox and power-assisted steering. Here is an opportunity to acquire not only an exclusive luxury saloon, but a model that rarely comes onto the market: an Excellence.